While the 169 Church Street location started it all, the opening of a second location on 4 Park Street in Essex Junction solidified El Gato Cantina as a local culinary force. “It is traditional Mexican food that I grew up with and learned to make,” said El Gato owner Tree Bertram. “I wanted to bring that to Vermont,” she said. 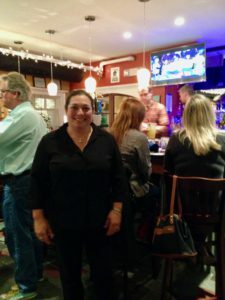 But long before Bertram could open doors at either location, she knew she could use some help getting started and reached out to Vermont Small Business Development Center (VtBSDC) Area Advisor Steve Densham after a landlord she was working with made the suggestion. The pair quickly went to work making El Gato a reality. Bertram said she learned to complete a business plan, map out financial projections, connected to local banks, accountants and other industry insiders, all through Densham’s help. This guidance led to a small business loan that made El Gato a reality, but Bertram and Densham also worked on additional aspects of the business. “Steve (Densham) gave me ideas for marketing and how to use it best for El Gato Cantina,” Bertram said. “He gave me new ideas about working with staff and scheduling strategies,” she said. For more information about El Gato Cantina check out www.elgatocantina.com and for more information about VtSBDC and the services provided by area advisors check out www.vtsbdc.org.